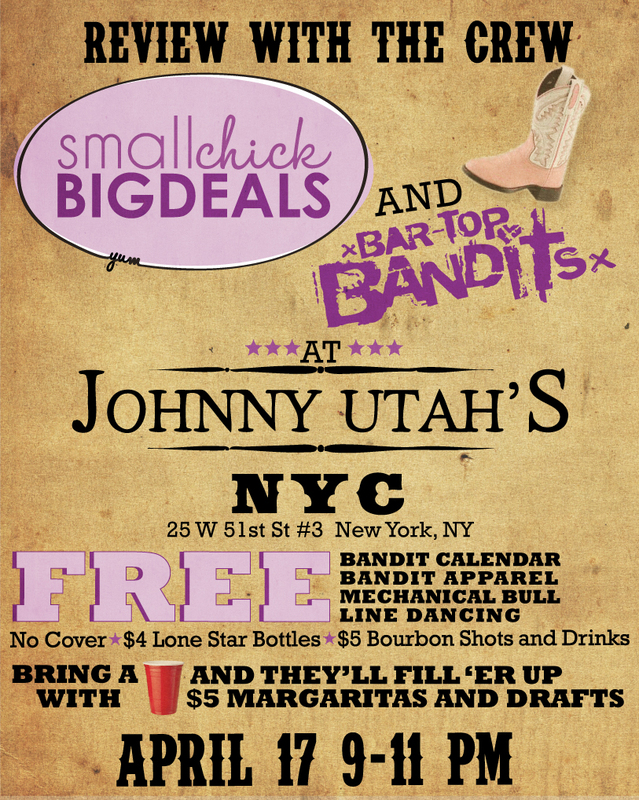 About two weeks ago I had the pleasure of having the “Review with the crew” event which included seeing the Bar-Top Bandit’s at Johnny Utah’s in NYC. Our beer writer, Stephanie, her boyfriend Eric, and one of our new team member’s Alexandra joined me. Johnny Utah’s is a fun, country-themed restaurant & bar in the heart of Rockefeller Center. We got in just in time before the Bandits started performing and decided to order some of their $5 margaritas, beer, nachos, and wings. We enjoyed all our appetizers– the nachos were the perfect side for all of us. We decided to try the BBQ wings and they were cooked to perfection and had just enough kick. 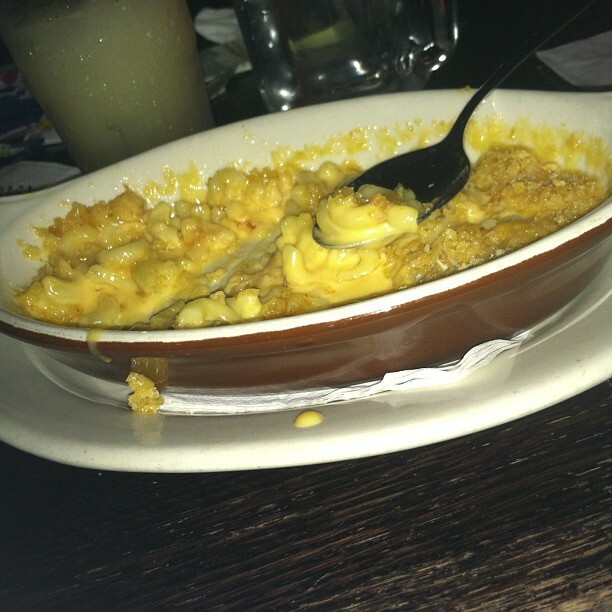 After downing a margarita or two, I had the craving for Mac ‘N’ Cheese and it was probably some of the best Mac ‘N’ Cheese that I’ve had because it was so cheesy and not too heavy on breading. It was also the perfect amount. 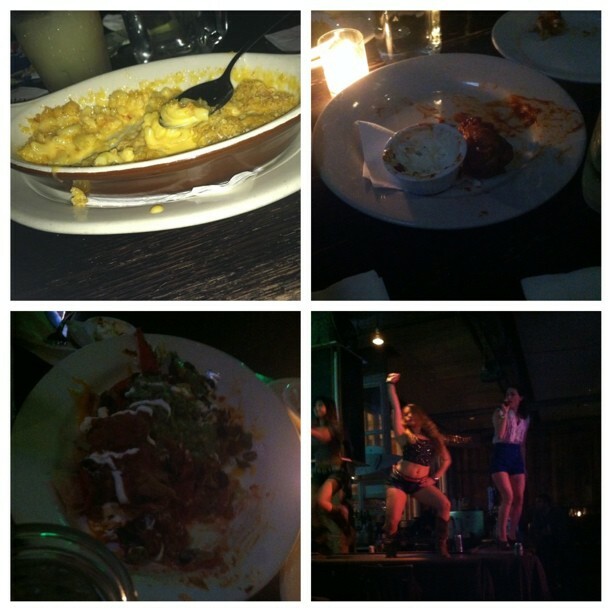 It was the perfect night out, filled with food, fun, and entertainment. I also got to interview, Theresa Fowler, ‘The Boss Bandit’ and got the dish on their performances at Johnny Utah’s every Wednesday and more! SCBD: When did the Bandits start? TF: I created the Bar-Top Bandits in September, 2010 with childhood friend Everett Brothers. It started as a fundraiser for an amazing soldier, SPC Brendan Marrocco, who lost his arms & legs in Iraq. The event was such a success, it led to us helping out other local charities and organizations, which resulted in us expanding our show to what it is now! SCBD: Where do you perform? TF: We have been touring the Northeast, rocking bar-tops from Times Square to the Meatpacking District in NYC, to Hampton Beach, NH & Asbury Park, NJ! SCBD: What should we look forward to at Johnny Utah’s? TF: Killer Female Vocalists and Dancers from the Broadway stage to the iTunes charts performing in NYC’s Hottest Country Western Bar! SCBD: What’s your favorite dish at Johnny Utah’s? TF: Bandit favorites are “The Buffalo Bill,” “The Calamity Jane” Cubano, the Nachos, the Southern Hushpuppies and the Hot Utah Wings. TF: We’re whiskey girls at heart, but we hear Johnny Utah’s bartenders make a mean Blue Long Island! They’ve got the best staff around, and we have a blast with them at every show! SCBD: What makes the Bandits different than any performers? TF: The Bar-Top Bandits are a unique nightlife event with some of the most talented female performing artists in New York City. We are a boot-stomping, hair-flipping, bottle-tossing, girl-powered show with the hottest and most unique approach to nightlife entertainment. Not only do our Bandits have powerhouse vocalists and insanely choreographed routines, but they specialize in mixology and hospitality. 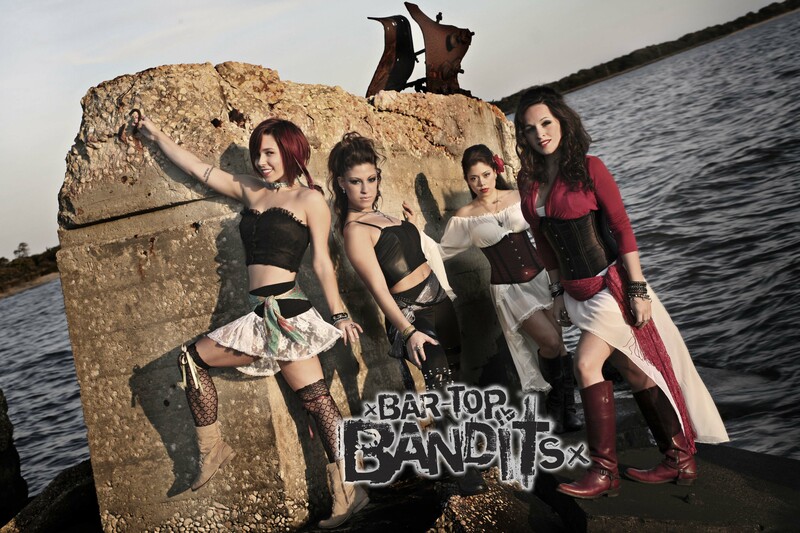 Pushing liquor and beer sales throughout the show results in nightly revenue boosts for venues who book the Bandits! Don’t have plans for tomorrow night? Make sure you go to Johnny Utah’s and see them perform. Also, don’t forget to ‘like’ the Bandit’s on Facebook, here. If you haven’t heard the #SCBDRelaunch is in a few short weeks, you can read my post about it, here. In true SCBD fashion, we are celebrating this new look and logo with a #SCBDLaunchParty on May 11th from 5-9pm in no other than Hoboken, wonderfully located between New York & New Jersey! If you’re a fan of SCBD we’d love to see you there and I’d love to meet you. 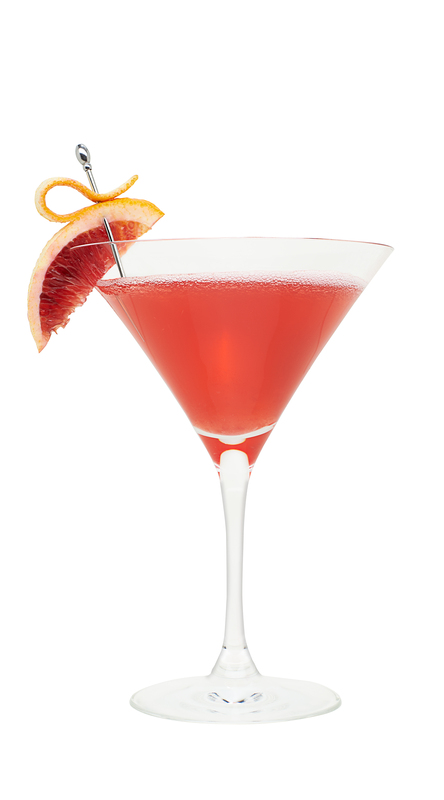 The night will be filled with some contests, photo opps, signature cocktails, and more! We’re asking that everyone please RSVP through Eventbrite, here. Also, feel free to share with your friends & RSVP on Facebook, here. You won’t want to miss it– be one of the first to see the premiere of the new logo! If you are one of the first 80 to register on Eventbrite you’ll receive one of the awesome swag bags we’ll be passing out that night! Stay tuned for more new restaurant reviews, event recaps, and more from the team & I! 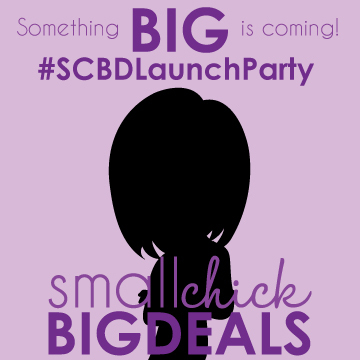 Tweet me @smchickbigdeals if you plan on attending, we’ll be using the hashtag #SCBDLaunchParty the night of the event!! See you at the #SCBDLaunchParty! 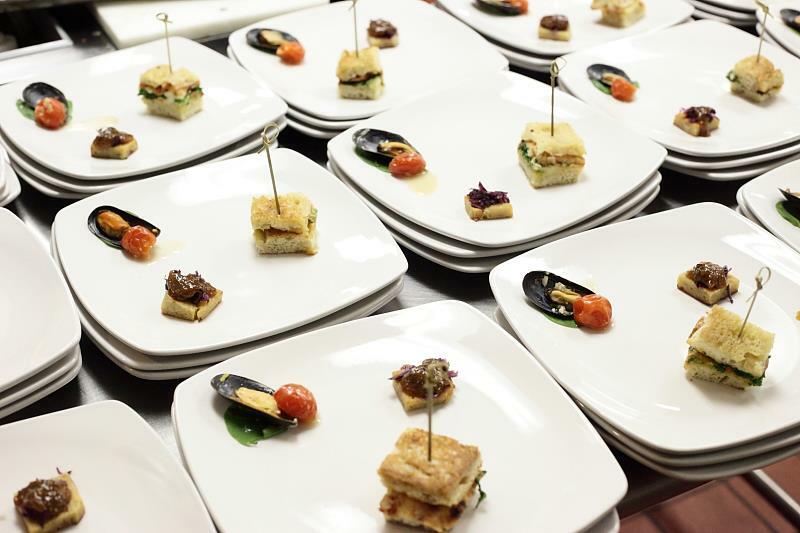 If you love to eat as much as I do then you’ll want to attend a Dishcrawl event in your area. I was fortunate to attend the debut Dishcrawl in Jersey City. The event took place in the Paulus Hook area, which was new to me but it was tons of fun. The crawl started off at Cityside Bistro where we had mini crabcakes, panisse with tomato chutney, and croque monsieur. My favorite dish was the mini crabcakes. Next, we went to the Iron Monkey where we sampled the monkey mac ‘n’ cheese, couscous with veggies, and crab dumplings. The monkey mac ‘n’ cheese has mushrooms and pancetta in it and it was delightful, one of their signature dishes. Our next stop was HopsScotch, which specializes in different beers. We sampled their German bun dumpling, mussel shooter, and grilled cheese with pesto. After that we finished the crawl at O’Connells where we had a choice of their homemade bread pudding or chocolate cake. I got the chocolate cake and it was pretty delicious. 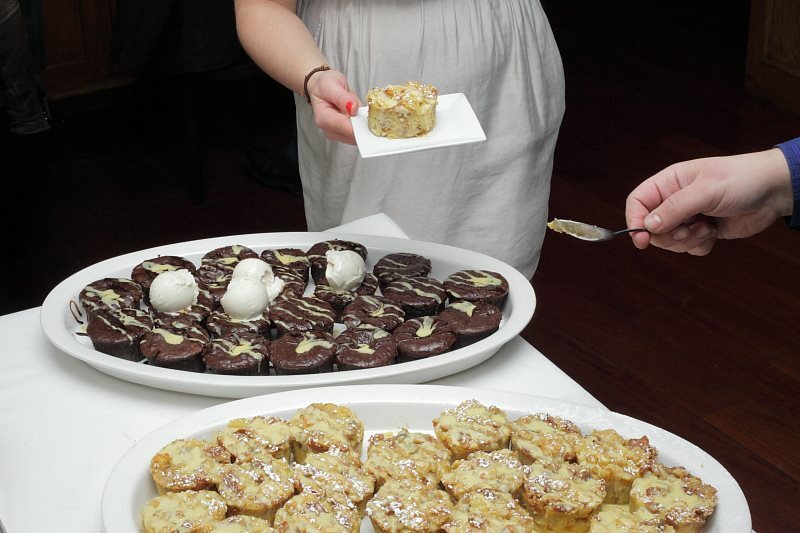 Interested in coming to the next Dishcrawl? Buy your tickets to the 2nd Jersey City Dishcrawl, here. 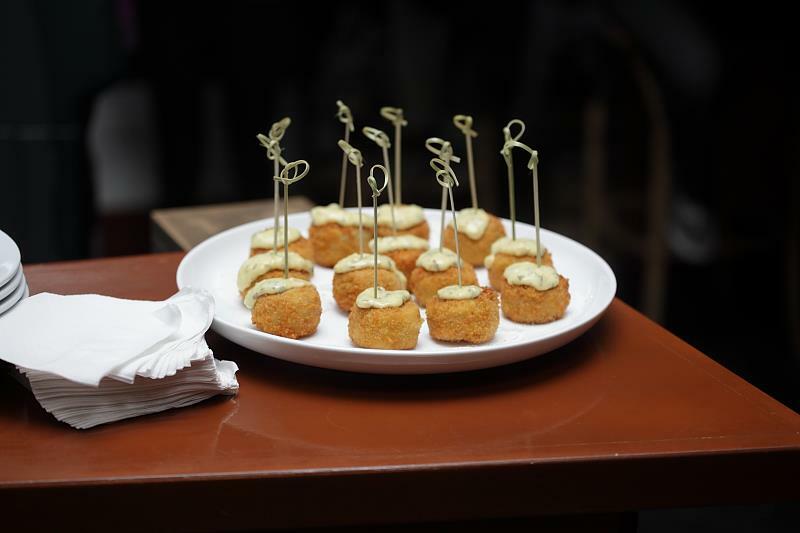 They are $45 but you get to try dishes from some of Jersey City’s best restaurants like Michael Anthony’s, VB3 and more! But you’ll just have to go to find out! 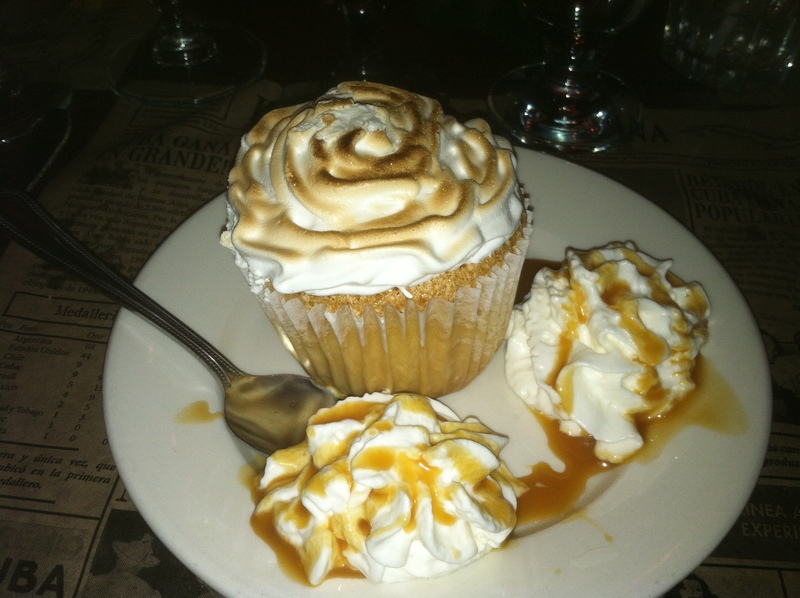 I loved my first dishcrawl and plan on going to more in Jersey City and Hoboken. Have you gone? I’d love to know what you thought? 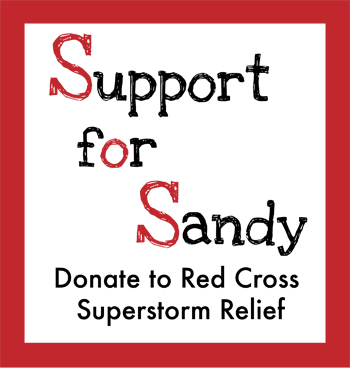 Look out for more 4-1-1 on events in NYC & NJ! If you haven’t tuned into the Episode 5 of Jerz Hot Spots I highly recommend you do. In the episode I get the 4-1-1 and interview Maureen, the owner of Jaret’s Stuffed Cupcakes who came up with the SCBD “Sarah Smile” cupcake. Tune in below. Now that we have entered spring and are experiencing a bit of warm weather, I am always looking for cool drinks to beat the heat. I love smoothies and some of my favorite fruits, like mangoes, are coming back into season. Mangoes tend to pop up in April and peak in May and June. Using mangoes, I took a shot at making a smoothie native to India, the lassi, but with an added twist. A lassi is a cross between a smoothie and a milk shake with spices (like cumin or cardamon) that can be either sweet or savory. It is creamy, refreshing and best of all easy to make! For my lassi, I am adding pineapple, almond milk and ginger to amp up the flavors. 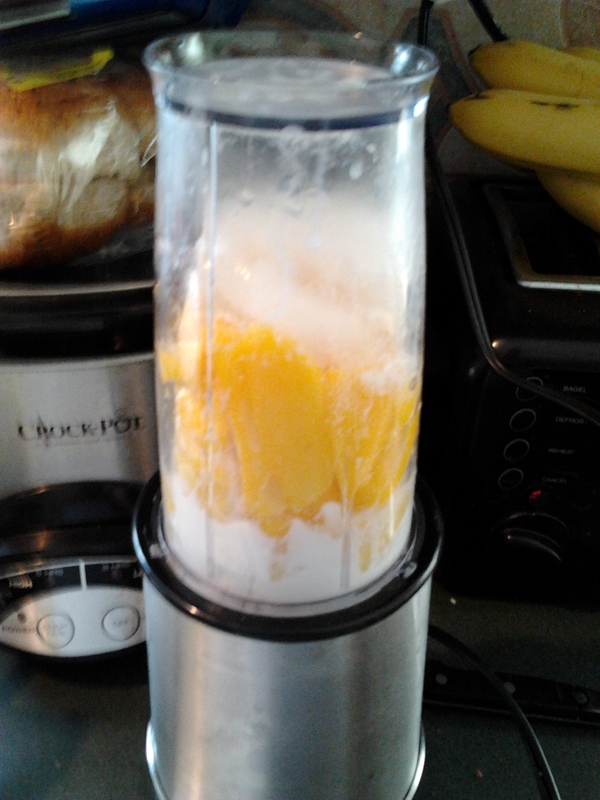 Add ice, mango, pineapple and almond milk to a blender and puree until it reaches a creamy consistency. Add yogurt and minced ginger (I used jarred minced ginger, but I recommend fresh ginger for a more potent kick). At this point you can add any sweetener to your smoothie. Run the blender for up to 1 minute. For a smoother consistency add more almond milk. 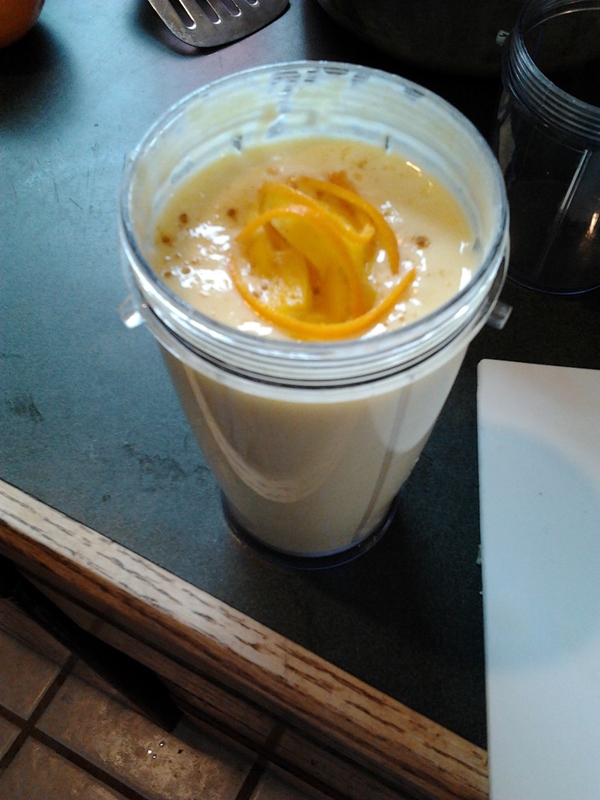 Pour mango lassi in a glass and top with some mango pieces and ground ginger. Sit back and pretend you are relaxing in Kolkata! A lassi can work with any combination of fruits and using frozen fruit works just as well as fresh fruit. Just skip out on the ice if you decide to go the frozen route. On that note, I think it’s time for some good news, if you haven’t noticed lately, some of the branding of the site has changed and that is going to continue. Small Chick Big Deals will be going through a little site re-modeling and changing servers! So if you’re following us on WordPress we ask that you follow us again once the site moves, but you still have sometime since it won’t be until next month. Along with the site, the logo is getting a bit of a makeover. Have a company you’d like to be involved in the celebration? Press interested in covering the story? 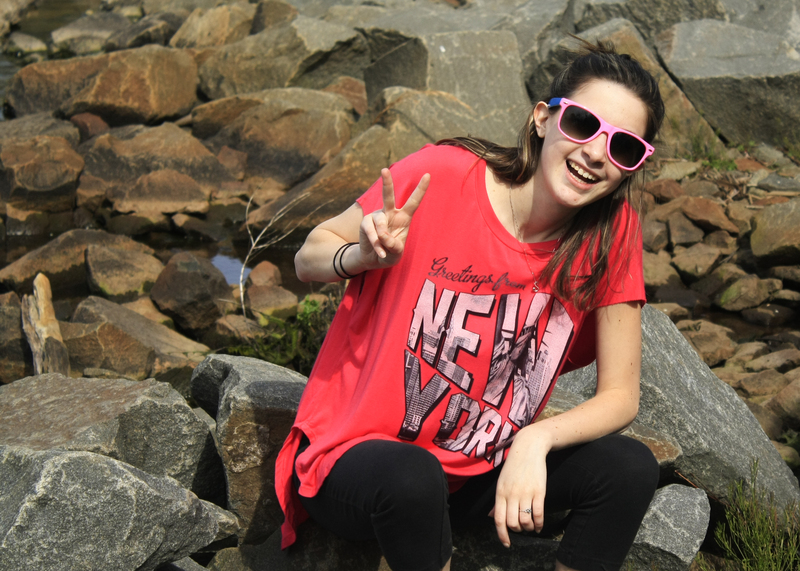 Tweet me @smchickbigdeals or email any inquiries to sara@smallchickbigdeals.com— we look forward to hearing from you! Stay tuned for more great restaurant reviews, recipes, event previews and recaps in the meantime from the #SCBDTeam & I! Cheers to changes & happy Friday! A little out of my Monmouth-Ocean county home base, Lidia’s drew me to visit them. As you may know from my bio, I teach Spanish, and love the culture. Any good Hispanic restaurant is worth a visit from me. I also happen to have some friends who live in Cranford who said, “What the heck, we’ll go give it a try”. Lidia’s originally had a restaurant in Highlands, which was destroyed by Superstorm Sandy, and have recently opened in Cranford. Since we were coming up from exit 98, our friends suggested reservations, when we called we were told they only take reservations for parties of 10 or more. We decided on 7pm on a Saturday thinking we might just be ahead of the Saturday crowd. Well, the people in front of us were the last ones to get a table before the entire restaurant was full. Happily, this gave us time to take in the ambience which was very cool if you can appreciate Cuba in its heyday. The wait staff wore black pants, Lidia’s black t-shirts and straw-fedora hats, so very Cuba! And the music was right there, too! We saw a beautiful bar and asked if it we could sit there and have a drink while waiting. That’s when we met Joe, Lidia’s husband. He said sure we could sit there, but it was a byob. I told him we had heard about the byob and were eager to try some sangria. I showed him the wine we had brought and he smiled and proceeded to make us some very tasty sangria. Also, if you bring rum you can get a pitcher of mojito’s, maybe we’ll try that next time. For $12 they will mix either for you. There were large stalks of sugar cane sitting in pitchers with water that looked exotic and delicious at the same time. Eventually the entire bar area became packed and it was our time to be seated. I could tell there was a lot of attention to detail when we looked at the menu; it was almost a parchment paper held together by twine. Also, the Spanish teacher in me thought the placemats that looked like a 1950’s Cuban newspaper were the perfect touch. Very important to note, on the menu it says all food is fresh and made to order so please be patient. My party had a lot to catch up on so the time was not an issue, but we were there for a few hours. We couldn’t wait to eat. 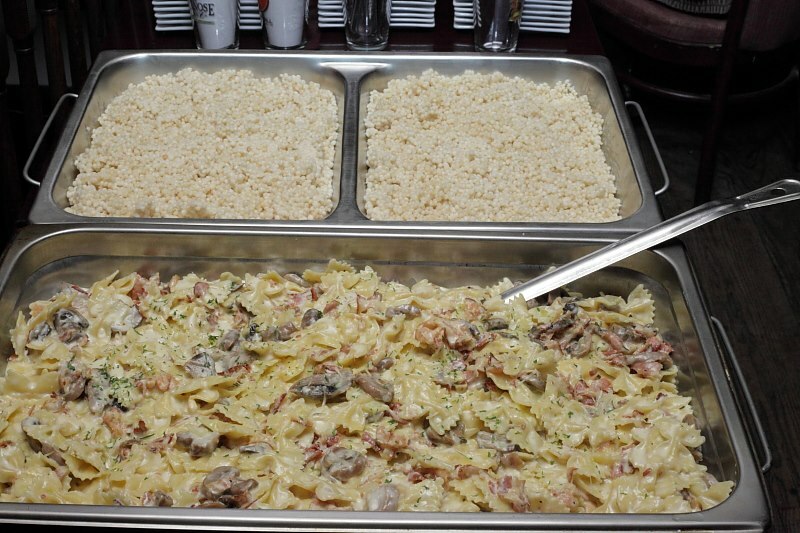 Our mouths were watering each time a table’s food came out of the kitchen. For our appetizer’s we chose 4 different so we could all try each others. 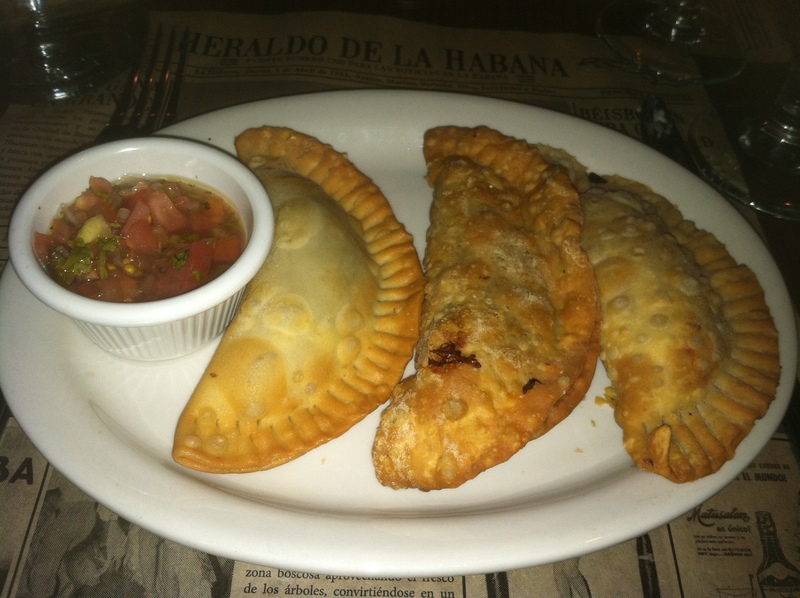 One companion chose empanadas, there were a choice of chicken, picadillo or spinach and manchego cheese or a combination of all three, and that’s what he chose. 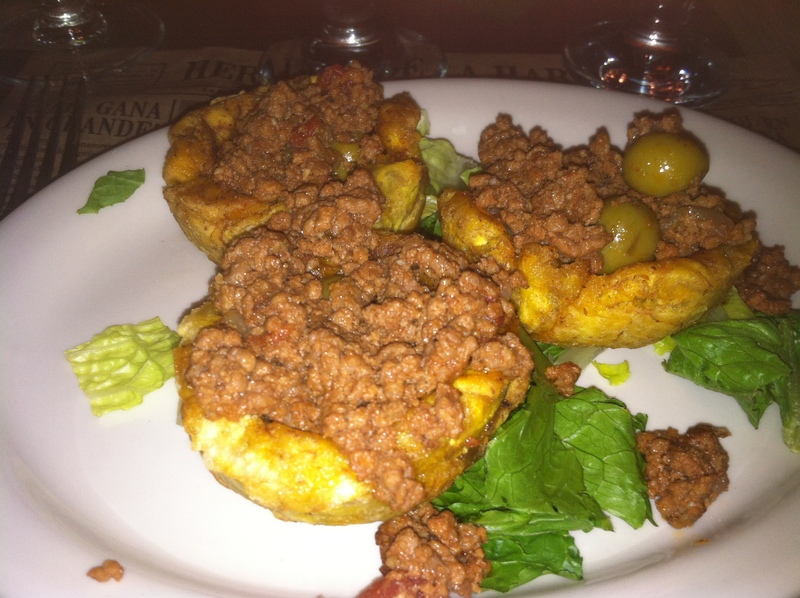 I chose one of the specials of the night, plaintain cups filled with picadillo. 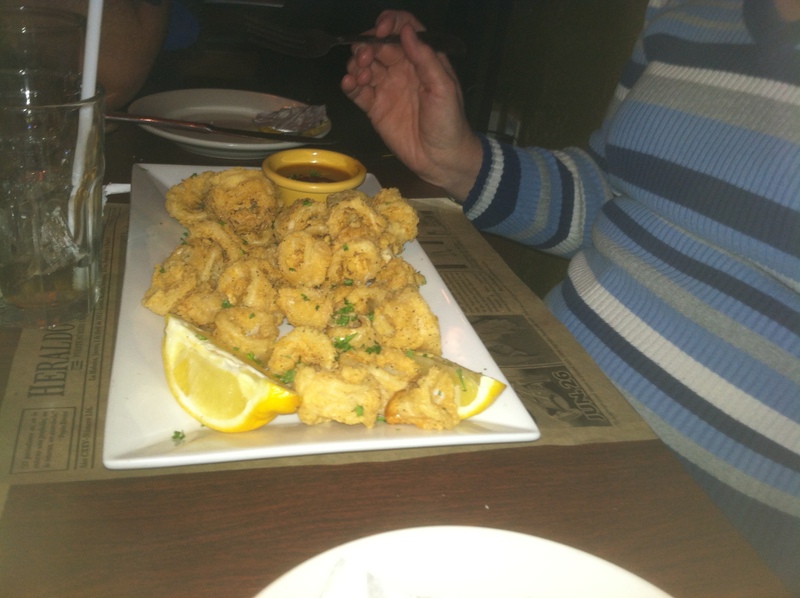 Another chose the garlic shrimp and our fourth, who was hesitant to try Cuban food, had the fried Calamari. Joe, it seems is Italian and told me at the bar he speaks no Spanish. His influence is the few Italian items on the menu and it sure come in handy to please everyone in your party. Not just an afterthought, the Calamari was perfect. The calamari came with Lidia’s homemade sweet and spicy sauce with pepperocini aioli. Our non Cuban eater found it a little too spicy but others raved and more was asked for later in our meal. The empanadas were tasty and filled to capacity. No skimpy empanadas here! The plantain cups filled generously with the picadillo as well. 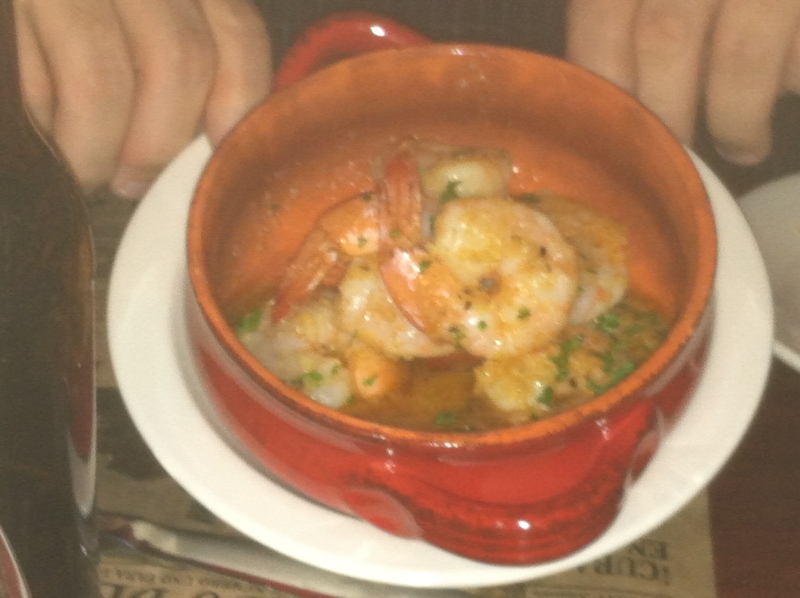 And the garlic shrimp, well….garlicky . Still enjoying our sangria we awaited our entrées. 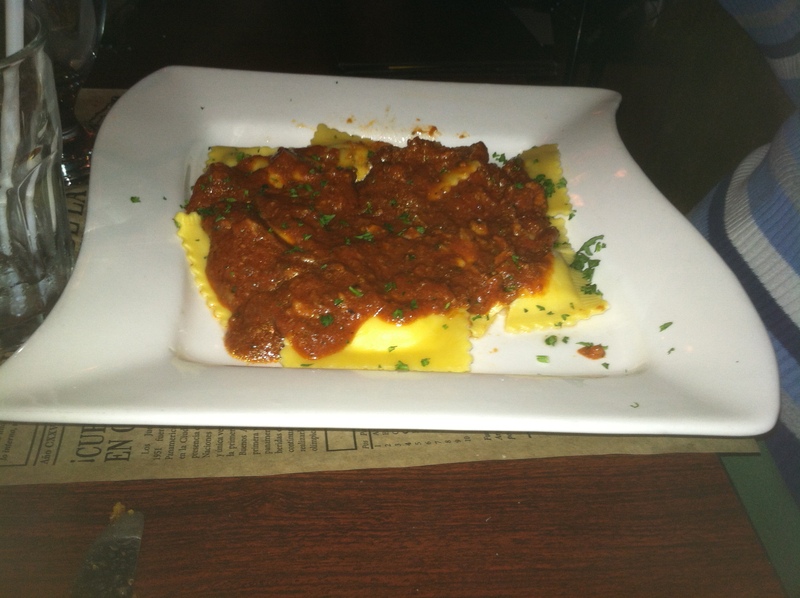 Our non-Cuban eater chose the ravioli. These came with a meat sauce which seemed a little out of the ordinary but was totally perfect for ravioli. Maybe I should show you her very empty plate. 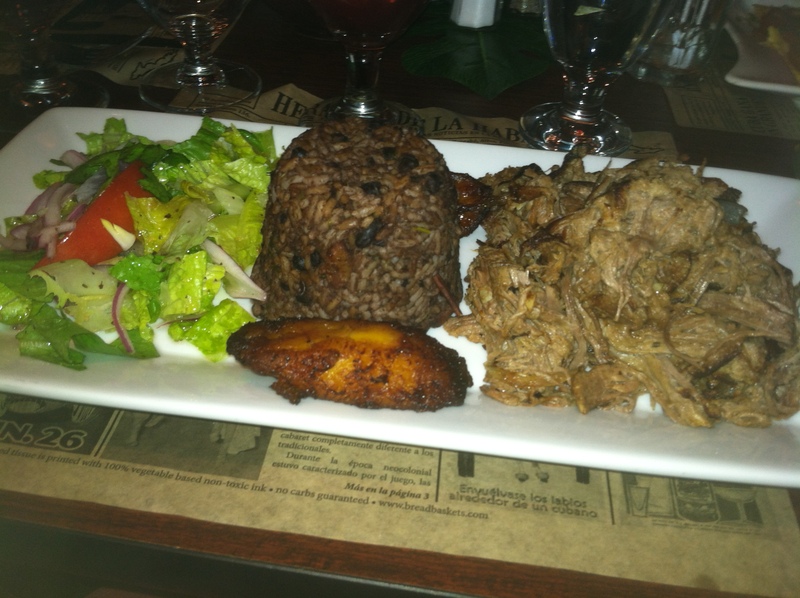 I ordered the Vaca Frita, directly translated means Fried Cow, thankfully it is shredded beef,seasoned and pan fried. I could taste a vinegary marinade, just devine. (Is your mouth watering yet?) I chose the congri for my side. This is black beans and rice cooked together rather than side by side. 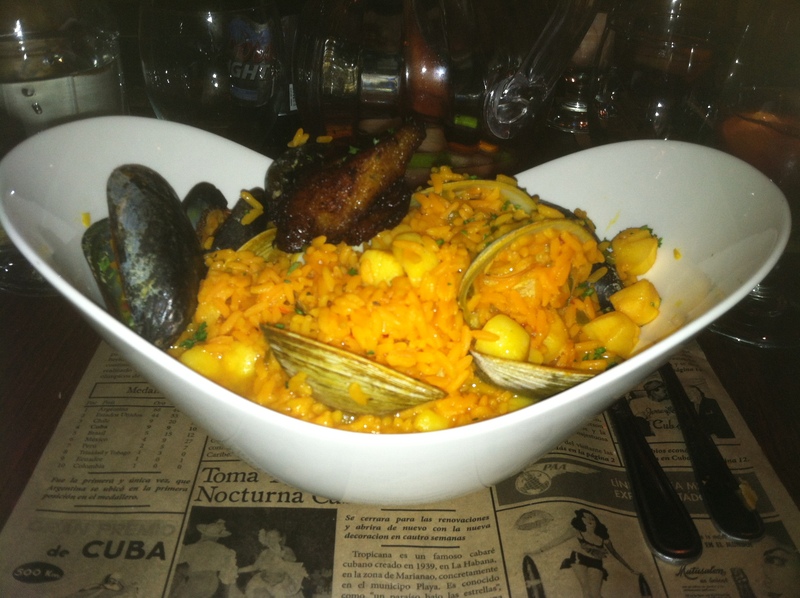 The two guys chose the Cuban paella. This was served full of such fresh fish and steaming hot. After the took a bite or two they both said they thought the sauce that went with the calamari would be great with the paella. So we asked for some and who should bring out the precious liquid, but Lidia herself! I suppose she wanted to see who was mixing up her menu . Both of them had plenty of their entrée left to take home as I did. We just had to save room for dessert. The desert choices ranged from the usual to the exotic. Our choices included the vanilla ice cream, which came served in a ceramic cup that looked like a cone. How cute! Another had the Casquitos de Guayaba with cream cheese, this is fresh guava slices served with cream cheese, not your typical cream cheese, this is less sweet and the perfect compliment. My buddy, the non Cuban eater, chose the cheesecake, drizzled with caramel sauce. She kept saying how delicious the cheesecake tasted. I chose the Tres Leches cake. For those of you unfamiliar this is a typical Hispanic dessert made with 3 milks. It was the best Tres Leches I have ever had, and believe me I’ve sampled my share. And to top it off, it was drizzled with that intoxicating caramel sauce. I had to ask if the sauce was made there and of course the answer was yes. For everyone reading, it is so centrally located you have no excuse not to go. Right off exit 136 GSP. Will I be back? You bet, I still have so many things to try.